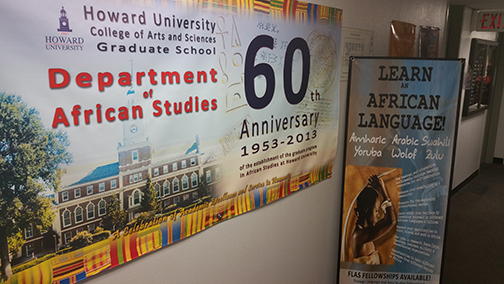 Howard University is the first university in the United States to offer a Ph.D. in African Studies. Currently Howard University offers B.A., M.A. and Ph.D. degrees in African Studies. The mission of the Department of African Studies is to create, nurture and promote an educational and intellectual culture that provides opportunities for undergraduate and graduate students to acquire knowledge and develop interdisciplinary skills that enable deeper and more productive understandings of Africa and Africans in both an historical and contemporary context and their role in and contribution to humanity and the global community. The main objective of graduate studies in the Department is to train scholars in the field of African Studies with emphasis on contemporary issues of public policy and development in Africa.